The UNIMOG Road-Rail M.E.W.P is the ideal concept for applications such as catenary maintenance and towing trains on a tram network. The UNIMOG Road-Rail cherry picker is the essential vehicle for all tram operations It has a wide field of action. Thanks to its platform size, it can hold two operators and tools (electric and pneumatic sockets) to inspect and maintain catenaries and other urban equipment. 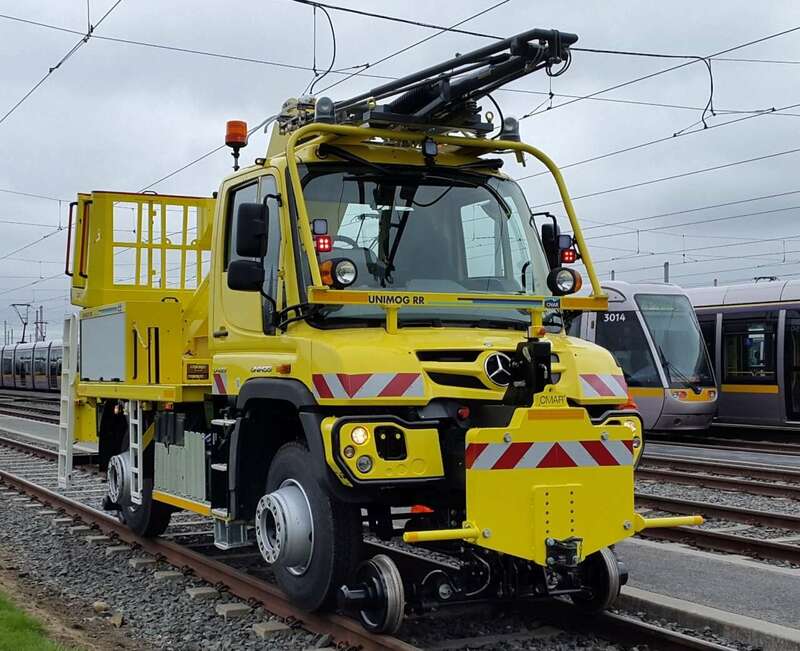 Another of the UNIMOG Road-Rail M.E.W.Ps strengths is the possibility of moving on the network from the M.E.W.P platform, essential for catenary inspection operations. The UNIMOG Road-Rail M.E.W.P can also act quickly and effectively for train towing operations thanks to its on-board towbar.